As you know, I've been trying to think of ways to inject some pizazz into Bookphilia and my feelings about it. I'm afraid none of my ideas are looking very well in the cold light of day, which I guess leaves me with two immediate options: stop blogging, or, keep writing reviews as I know how to (and hope that the romance will reignite all on its lonesome). For today, at least, I suppose my simply being here and showing you a picture of a P.G. Wodehouse book means I'm going for the latter option. In my experience so far, P.G. Wodehouse's books are quite predictable and all pretty similar; the characters get switched up a bit and the hairy situations are somewhat altered but really, they're all the same. I have no problem with this and obviously, neither does the rest of the reading world, for all his books are being re-printed in purdy new soft covers. Wodehouse's novels are fun and generally reliable and forgettable; I can't even remember the details of my favourite Wodehouse novel, Leave it to Psmith. But hey, if it's good enough for Shakespeare, it's good enough for me (and our man Pelham Grenville) - because really, all Wodehouse's books, in spirit for sure and also often in detail, are modern renditions of Shakespearean Comedies. Engagements arranged in record time, engagements broken, engagements remade and broken and remade, confused identities, young people running about in the green world well beyond the reach of the city, youth's conflict with the oldsters/parent figures, and the ultimate triumph of youth - all Shakespeare AND all Wodehouse. Wodehouse has no shame about his literary lineage, for he loves to drop little snippets from Shakespeare's oeuvre - who loved his intertextual references too. 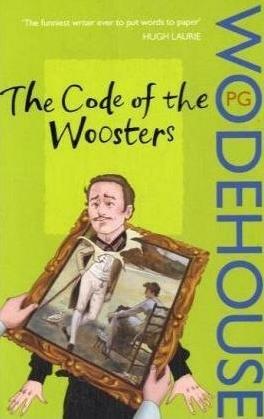 Wodehouse is like the meta-Shakespeare of 300 and change years later. 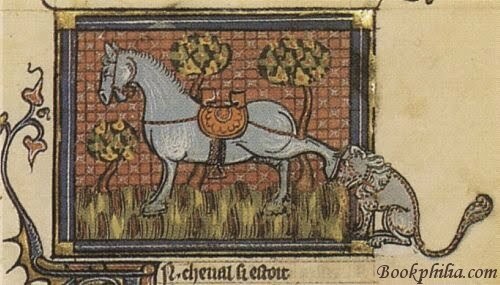 Obviously, such an analogy can only go so far; while Shakespeare's Comedies ARE all remarkably similar, he still had a great deal more breadth than Wodehouse, who did not pen tragedies or histories, or most interestingly, "problem" novels defying genre and the readerly expectations surrounding it. But this doesn't mean Wodehouse's Comedies aren't interesting. One of the things I find fascinating about them is how much more deeply than Shakespeare he thrusts his characters into the proverbial forest removed from the real world. Contemporary politics are barely gestured towards, if at all (e.g., in The Code of the Woosters, Roderick Spode is a rather intimidating fascist dictator in the making, but when crushed up against the meditative and ever firing brain of Jeeves, he has no chance there, in the country - and more importantly, his political ties and proclivities in no way affect the major plot points). The insularity of the English country mansion and its environs become inviolable to all negative forces save those of parent figures' in direct conflict with young people's desires. The one way in which Wodehouse does not maintain his fairly consistent generic homage to Shakespeare, however, is in relation to the issue of class. In Shakespeare's Comedies, class distinctions are allowed to break down and be toyed with in the forest - although they will, of course, be re-established directly prior to the characters' re-entry into the "real" world. A great deal of Wodehousian Comedy relies on the strict maintenance of those class distinctions throughout whatever chaos ensues. With Shakespeare, the temporary disintegration of class is a true fantasy in the non-literary sense of the world - in Renaissance England, to what class one belonged was very clearly marked by the clothes worn. Indeed, that Renaissance actors, low rent by anyone's standards, could dress themselves as kings on the stage caused a fair bit of anxiety - for external markers were the only markers of social position (and therefore power) that were universally understood. So, I wonder, was Wodehouse simply not enamoured of that particular aspect of his mentor's Comedic style, or is the sharp delineation of class in Wodehouse's novels itself the fantasy? Is the thing to be yearned for, in a Europe shaken by wars, the rise of a strong union culture, and an increasing influx of immigrants, not more social diversity but less? Given Wodehouse's political affiliations during World War II, that's a rather disquieting hypothesis. (It's also disquieting that I say this, given how many years I spent trying to teach my students to avoid engaging in biography criticism!) Or, are Wodehouse's novels simply a gentle send-up of the old guard who would imagine that larger cultural changes would leave their country (estates) entirely untouched in every way? Or, even more basically, is Wodehouse just having a simple laugh at those who would imagine that youth won't triumph over age? I don't know the answers to these questions. I do know, having just come up for air and looked around with blinky eyes and racing heart, that I've apparently just written, not a review of The Code of the Woosters (which I very much enjoyed), but rather a hasty and un-researched lecture geared towards a first year English course - if anyone taught Wodehouse to first years, which I can't say I've ever heard of. Having not taught uni courses in 3 years now, I find what I've just done confusing. And perhaps more, not less evidence, of the fact that I don't know what kind of relationship I want there to be between the books I read and how and what I write about them. Sigh. I have to admit, I've never read a novel by Wodehouse. You don't believe books should be interpreted using the author's biography? But so much of what an artist does is based on his/her life experiences! How do you even begin separate the two? QUOTE Colleen: I find what I've just done confusing. Well I found it interesting and alive. Does that help any? Personally, I give this post a 10 out of 10 for exactly the reason Celine cites: it is engaged with the text (and its context) and shows an excited and intrigued mind at work. Bravo. Keep the "how to blog" experiment alive! How do you even begin separate the two? It's easier than you think! Read The Epic of Gilgamesh or The Ramayana or The Hebrew Bible. Try to interpret the work using the author's biography. See how far you get. Adjust your interpretive methods accordingly. Or read any book written by an author you don't know much about, which you do all the time. Maybe Colleen can fill you in on soem of the horrors committed in the name of biographical criticism. Colleen - great post. I learned something. I buy the argument. I think your point about Wodehouse's depiction of class as a fantasy is exactly right, but I'd make it more precise. At that point, class in England is a performance. The distinction is no longer the Renaissance one of inherent class qualities. It is all a matter of acting the part of a member of a certain class. And like characters in late Renaissance and 17th century drama, they keep pointing toward that performance, letting you know that they are trapped in a play. Well, it's so funny you should just post this blog. I am a final year Englsh literature student and I'm currently writing my dissertation on the similarity of Wodehouse's characters, plots and language to Shakespeare's. My tutor thought it was a bit bizarre (but interesting) and I had been thinking my argument was a little tenuous, but now I know I'm not the only one who compares Wodehouse's genius to that of Shakespeare's. Thank you. die g...: Well, it's not exactly right either to say class qualities were considered inherent during the Renaissance - if they were, why would anyone have been getting so worked up about clothing either on or off the stage?